Once home to Bethlehem Steel, Republic Steel, and Lackawanna Steel, Buffalo has a rich history of iron-making. While the last of these major foundries was shuttered years ago, Buffalo State has emerged as the keeper of the region's founding heritage as it houses the last remaining gray iron foundry in Western New York. 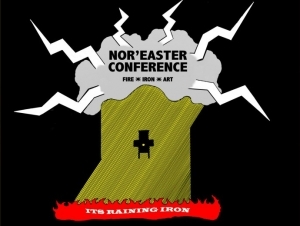 To herald the history and aesthetics of cast iron art, Buffalo State’s Fine Arts Department is hosting the Nor’easter Conference, November 14–17. It follows the tradition of contemporary cast iron art conferences that have proliferated throughout the United State and overseas since the 1980s. Approximately 200 artists, academics, and art lovers from across the country and Europe are expected to attend the conference, which includes lectures, pyrotechnic demonstrations, and exhibitions. Though the boom of the steel industry occurred during the turn of the twentieth century, the practice of casting iron changed the livelihood of people since the fourth century B.C., and the practice of casting iron art has never been stronger, according to conference coordinators, Kenneth Payne, professor of fine arts, and Elena Lourenco, assistant professor of fine arts. "Today, we as artists and creators bend these traditions of industry and innovation in ways suitable to our own aesthetic personal practice," Payne said. Along with the Fine Arts Department, Buffalo State’s Burchfield Penney Art Center, the Albright-Knox Art Gallery, and Big Orbit gallery are co-sponsoring the conference and hosting exhibitions, lectures, and receptions at their sites. Artists who have made a name in cast iron art and sculpture, including Jay Wholley, Jene Highstein, Virginia Steel, Nor Hall, and Justine Johnson, will present lectures. "Firing the Beast,” a 1,000-pound iron tap demonstration, Wednesday, November 14, at 6:00 p.m. in Lot T, behind Upton Hall. Free. Sustainable mold-making demonstrations, Thursday, November 15, from 8:00 a.m. to noon in Upton Hall 243C. Free. Opening reception for the Conference Exhibition, Thursday, November 15, 6:00 to 11:00 p.m. in the Big Orbit Gallery, 30d Essex Street. Admission is $15 and includes food, beer, and music. Members of the public can scratch their own block molds that will be cast into iron tiles. 8:00 a.m. to 5:00 p.m. Wednesday, November 14; and 8:00 a.m. to noon, Thursday, November 15; in Upton Hall 240. Blocks cost $15–$30. All molds will be poured November 16, starting at 6:00 p.m. Reception for Crossing the Line sculptors’ drawings exhibition, Friday, November 16, from 1:00 to 2:00 p.m. in the Czurles-Nelson Gallery in Upton Hall. Free. 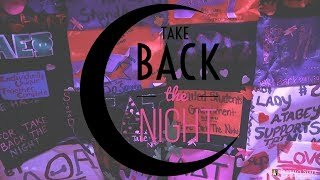 To see the full listing of events, go to digitalcommons.buffalostate.edu/noreaster/.